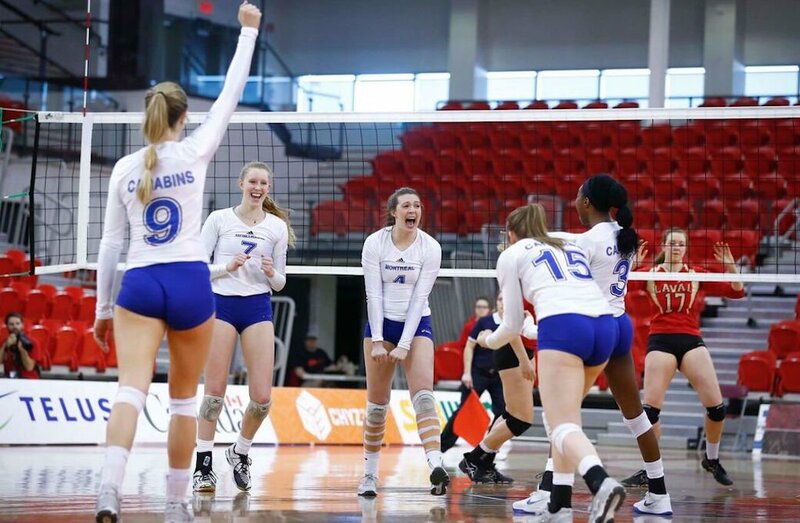 In a duel between Québec rivals, it was the RSEQ champion Montreal Carabins who dominated the host Laval Rouge et Or 30-28, 25-19, 25-7 Sunday at PEPS at Laval University. 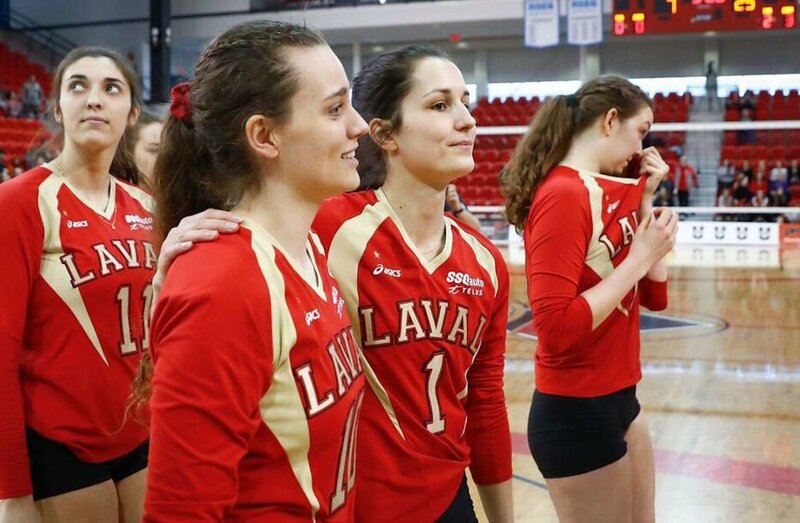 They take home fifth place at the U SPORTS Women’s Volleyball Championship presented by Hôtel Universel Québec. 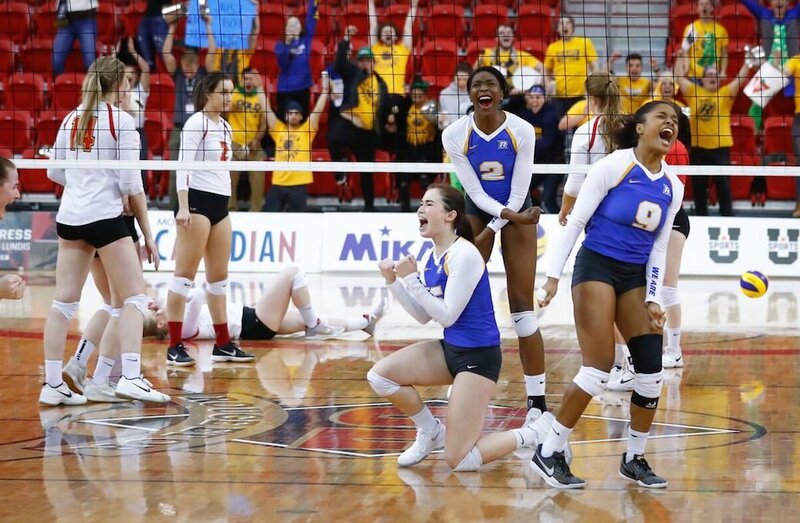 After a heated first set followed by a tight second, the Carabins quickly ended the game with a dominant third set score of 25-7. Montreal finishes the tournament in fifth place, one spot below their fourth-place finish in 2017. 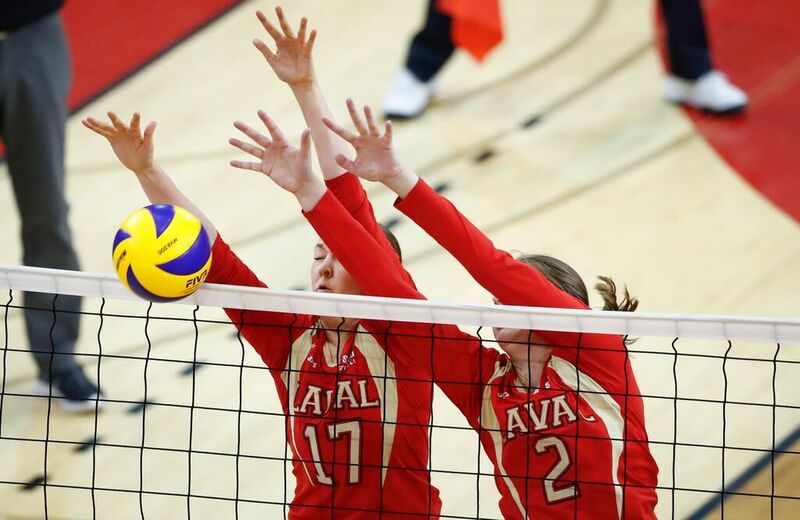 The Rouge et Or finish the tournament sixth in their first national appearance in three years. From the perspective of the Rouge et Or, the disappointment was obvious, especially after the last set. Two graduating players finished as players of the game. 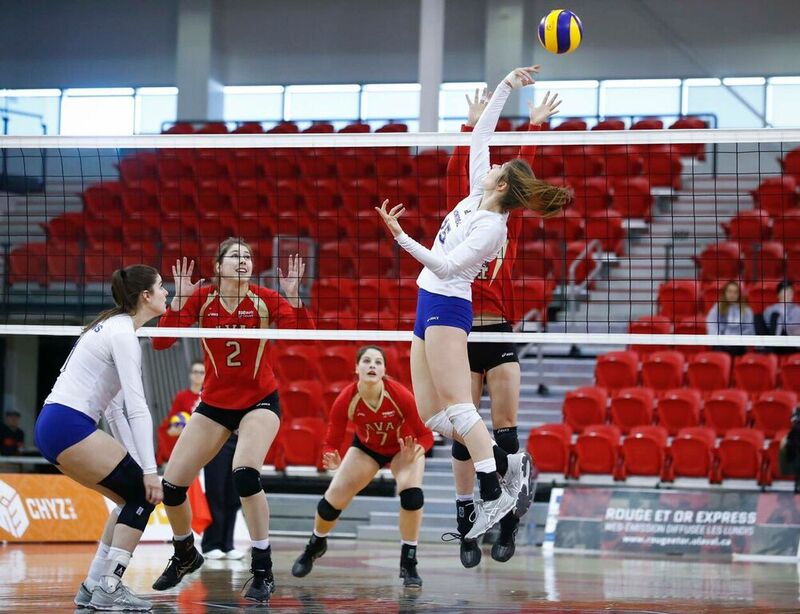 For the Carabins it was setter Katia Forcier, who finished with 35 assists to go along with 14 digs. Jade Fortin was nominated player of the game for the Rouge et Or, finishing with five kills, three aces and four digs.